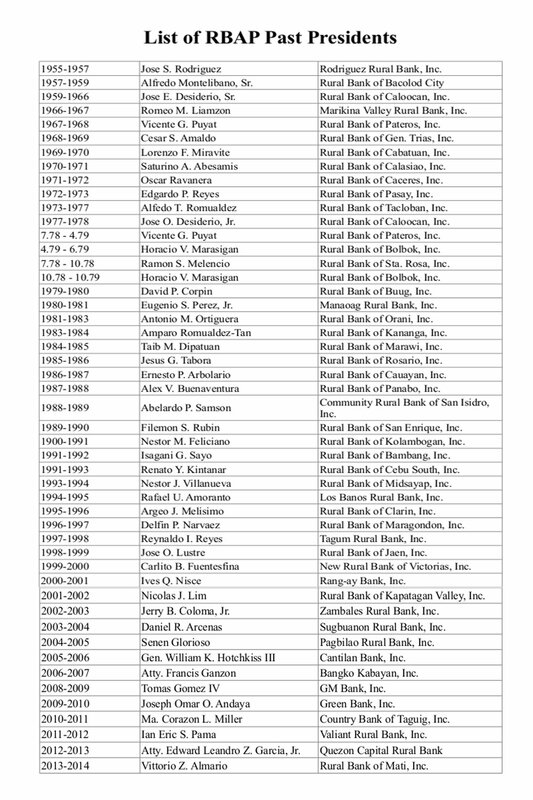 The first eleven (11) incorporators listed above composed the first board of directors of RBAP. Through a resolution dated April 21, 1958, four (4) other incorporators were voted as directors, thus increasing the directorship to fifteen (15) members, which is presently followed. Presidents of RBAP who invariably distinguished themselves as champions of rural baking development succeeded the leadership of Mr. Montelibano.